Quick Review of "Sports Jeopardy!" The latest Jeopardy! 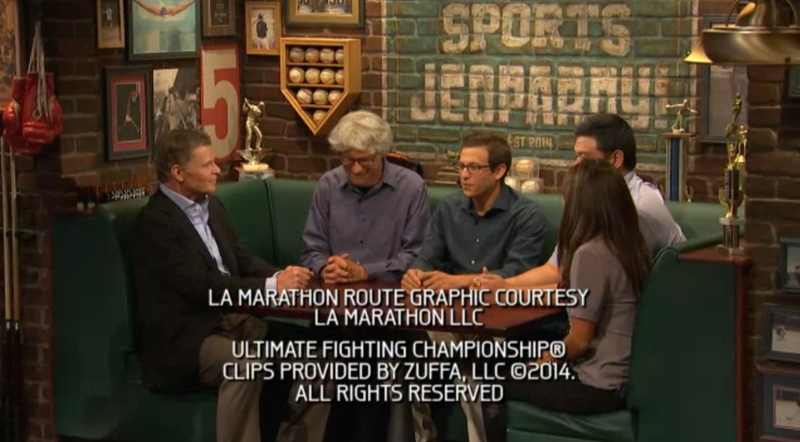 spinoff, hosted by veteran sportscaster Dan Patrick, plays similarly to the original version. The only differences between the two shows are the contestants playing for points in the game, the winner of the game receives $5,000 while second and third place earns $2,000 and $1,000, respectively; there are four clues per category and they are valued at 250, 500, 750 and 1000 (500, 1000, 1500, 2000 in Double Jeopardy!). The season’s three highest scoring players return to compete in the two-game Championship Match at the end of the season where the winner receives $50,000. Bad incorporation of sponsorship within the show (the tacky banner advertising the mobile game underneath the game board, Dan Patrick’s introduction segueing to a plug for the mobile game and the “Daily Double” over-the-shoulder graphic cutting to the Buffalo Wild Wings logo and to the clue afterward, rather than better incorporating the sponsor with the DD (e.g. : “Buffalo Wild Wings Daily Double). Overall, Sports Jeopardy! is a prime example of how spinoff shows should be done — making the proper adjustments where necessary without completely changing the integrity of the original show’s format. If Crackle didn’t pick it up, I can see this show running on FOX Sports One or NBC Sports Network. Because Sports Jeopardy is an excellent sports game show with smart, sports-savvy contestants and it’s relatively cheap to produce, I can see this online game show running for a second season. 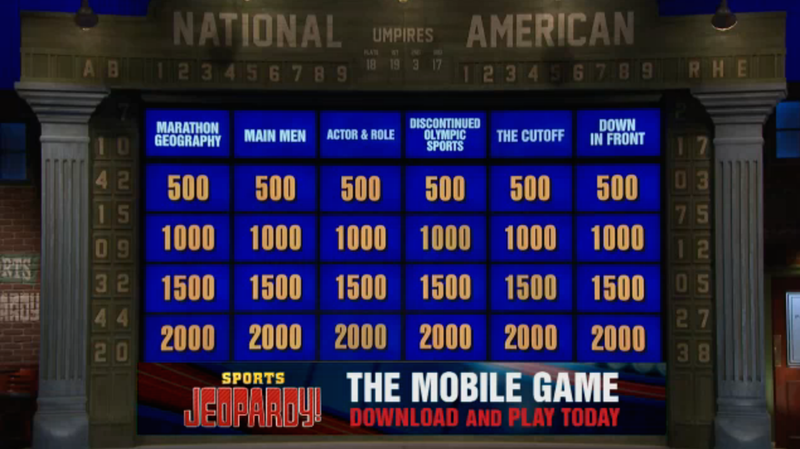 Watch a new episode and reruns of Sports Jeopardy! every Wednesday on Crackle!